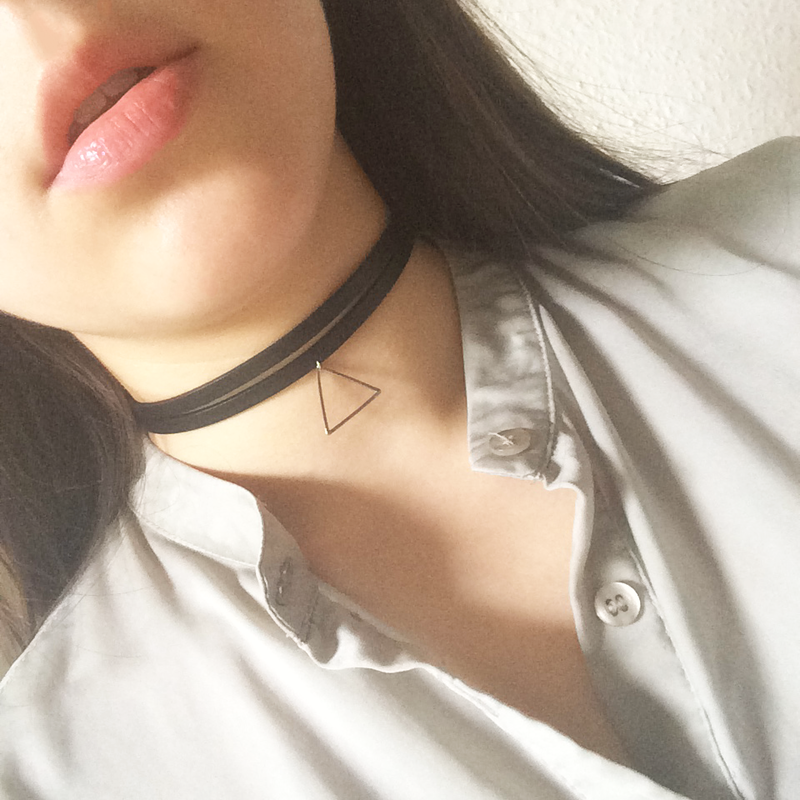 As a nineties girl at heart, I am a big fan of chokers. Whilst I steer clear of most jewellery, I find that chokers sit well with my style, and are surprisingly versatile. They are perfect for adding a little edge to an outfit, and I find that they'll always start a conversation. 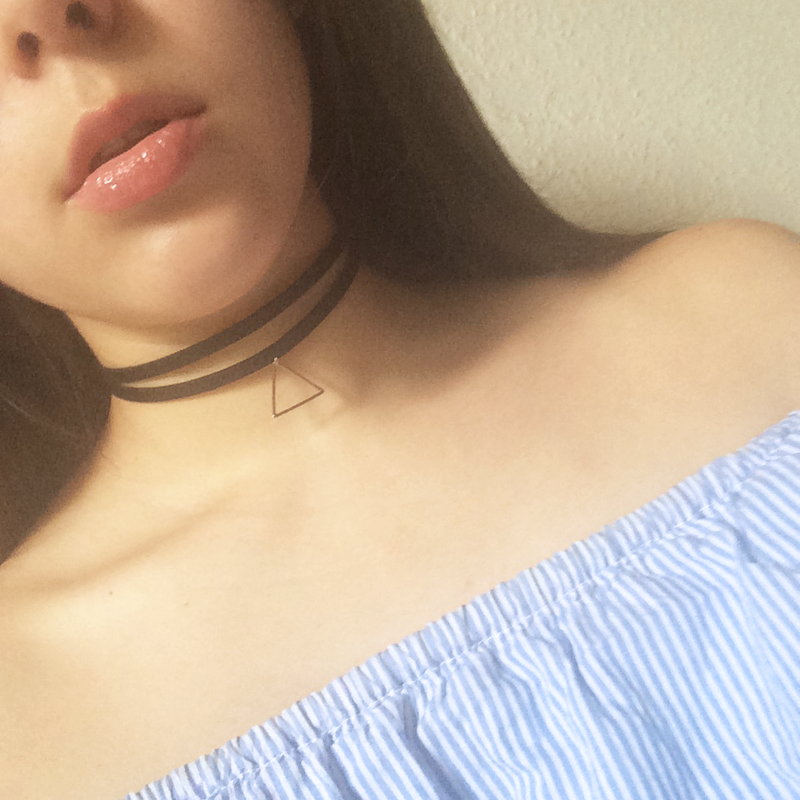 I picked up this 2 strap leather choker with a triangle charm from a shop in Harajuku when I visited Tokyo last month. I thought I'd style it four ways to show how versatile this piece is, and give a little style inspiration. This styling needs no introduction, as a choker and a OTS top/dress seemed to be the combination of the summer. It comes as no surprise, as that much bare skin is crying out for some decoration. This look is the most foolproof out of the four, as it will work with any choker. There's no need to even look in the mirror! This dress is from Zara and was featured in my latest OOTD. I wasn't sure if this look would work, but I actually love the outcome. I pulled on this silky blouse from Topshop that I've had for aaages, popped open the top two buttons et voilà! Smart casual transitioned into daywear, with an edge. I love how you can just see the delicate triangle of the choker peeking out. I'm definitely going to wear this look again. For this look, I paired the choker with another big trend this season: the slip dress. I love how the leather of the choker toughens up the feminine lace of the slip. This style of dress reveals a lot of décolletage, and the choker adds some interest to this area, without taking away the impact of the deep V. You could also recreate this look with a cami or a v-neck top. 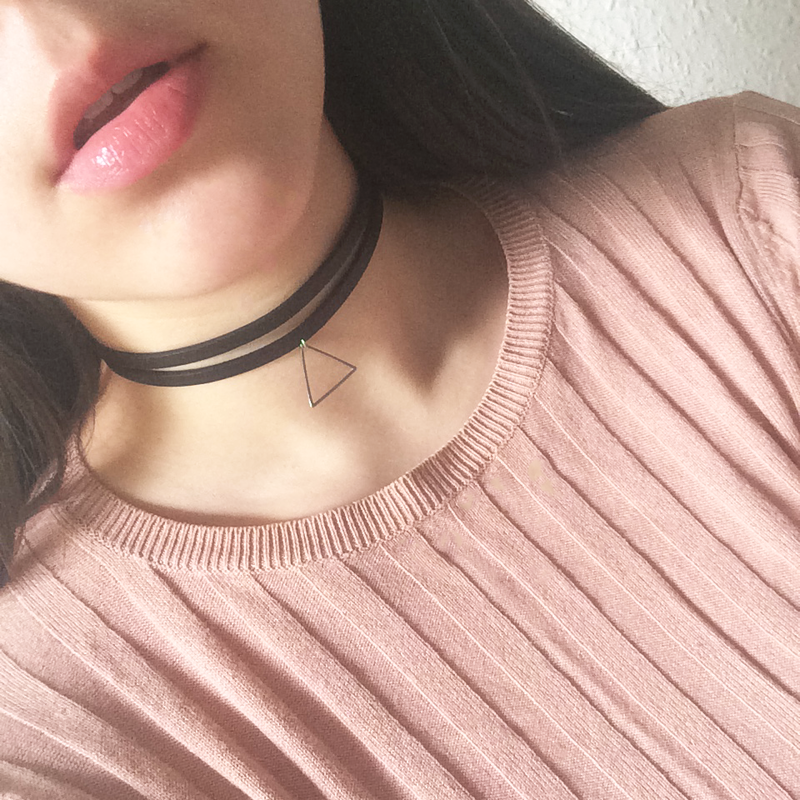 Since I started wearing chokers about 3 or 4 years ago, I've always styled them with round neck tops. I love how the shape of the neckline echoes the shape of the choker. Also, a lot of my round neck tops are quite plain, so the addition of a choker adds some interest. 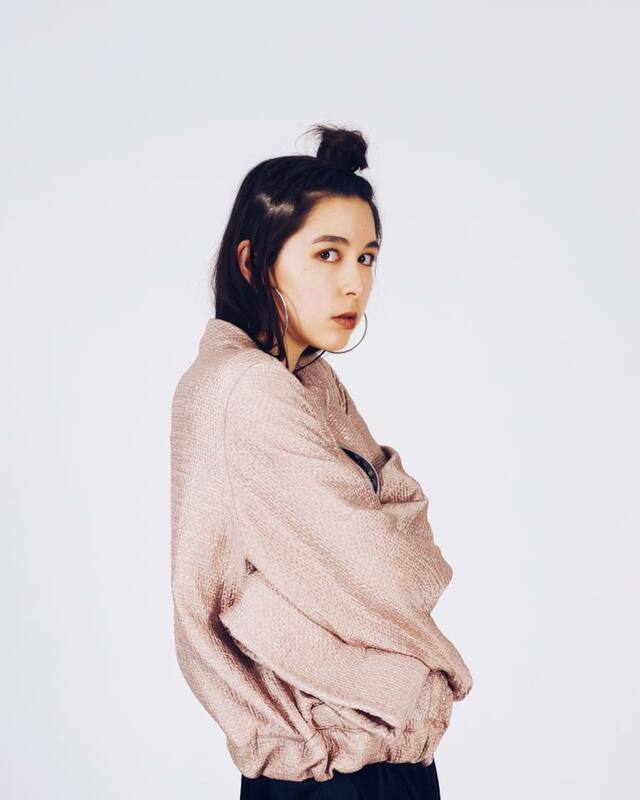 This top is from Bershka and I styled in an OOTD during my visit to Bath. Have you read my latest OOTD?